With the UK set to simmer under the sunshine for this weekend, we’re getting thirsty for some tasty cocktails to help keep us cool. A summer time classic has to be Sangria! Bring a little bit of the Algarve into your back garden this weekend by mixing up the super simple cocktail below. But if zesty sangria isn’t your drink of choice, then the Strawberry Daiquiri recipe below might be just the sweet treat you’ll be craving this weekend? 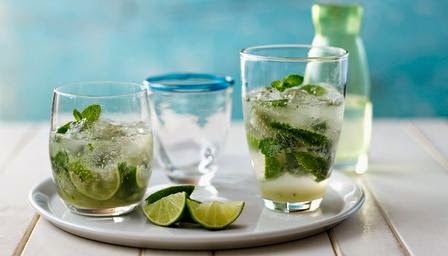 Or for a really refreshing drink, don’t forget the ever popular Mojito! 1. 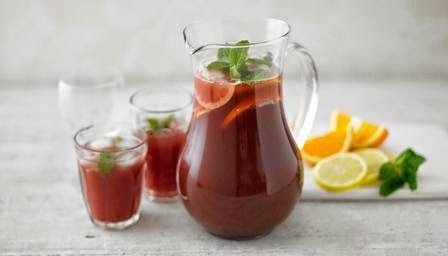 Mix all the ingredients together in a large jug and add more red wine, orange juice or lemonade according to taste and desired strength. 2. Pour into glasses, garnish with mint sprigs and fruit. 1. 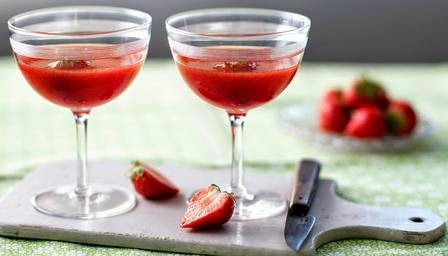 Place the strawberries, sugar, rum, strawberry liqueur and lime juice into the base of a cocktail shaker and mash (muddle) with the end of a clean rolling pin. 3. Strain the mixture into a Martini glass and garnish with half a strawberry. 1. Place the limes, mint and sugar into a sturdy highball glass and 'muddle' or mash with the end of a clean rolling pin, to bruise the mint and release the lime juice. 2. Add the ice and pour over the rum. 3. Add soda water to taste and stir well. 4. Garnish with a mint sprig and serve. To maximise your opportunity to relax in the sunshine with a cocktail or two, why not make up a big batch at once! Pick up some colourful punch bowls or cocktail jugs to mix up your cocktails in, add some ice to keep cool and enjoy your cocktails all evening long. This is especially useful if you plan on inviting around a few friends to make the most of the glorious weather, prehaps getting a BBQ on the go? If so, stock up on our range of BBQ tableware, paper plates and cups - disposable paper plates mean no washing up!! And don’t forget to check out our Summer Vegetable Kebab Recipe for a delicious snack to add to the BBQ. Will you be trying out any of these recipes this weekend?